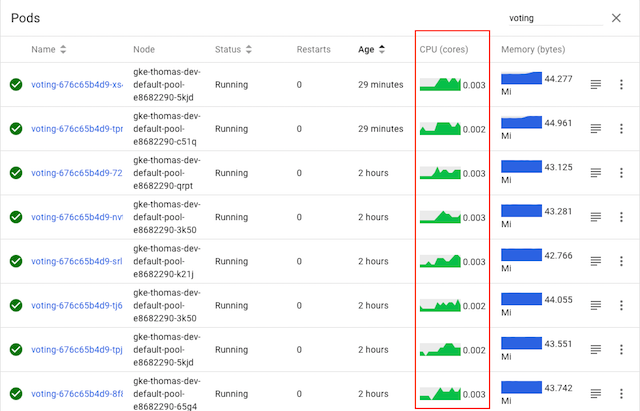 While the voting service displayed here has several pods, it’s clear from Kubernetes’s CPU graphs that only one of the pods is actually doing any work—because only one of the pods is receiving any traffic. Why? 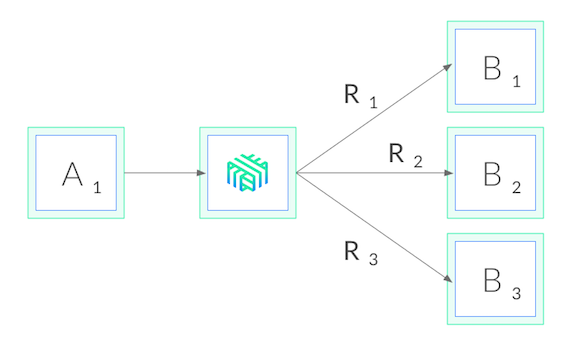 In this blog post, we describe why this happens, and how you can easily fix it by adding gRPC load balancing to any Kubernetes app with Linkerd, a CNCF service mesh and service sidecar. 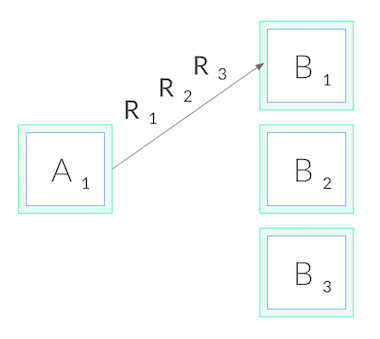 Why does gRPC need special load balancing? First, let’s understand why we need to do something special for gRPC. gRPC is an increasingly common choice for application developers. Compared to alternative protocols such as JSON-over-HTTP, gRPC can provide some significant benefits, including dramatically lower (de)serialization costs, automatic type checking, formalized APIs, and less TCP management overhead. Why doesn’t this affect HTTP/1.1? The reason why this problem doesn’t occur in HTTP/1.1, which also has the concept of long-lived connections, is because HTTP/1.1 has several features that naturally result in cycling of TCP connections. Because of this, connection-level balancing is “good enough”, and for most HTTP/1.1 apps we don’t need to do anything more. To understand why, let’s take a deeper look at HTTP/1.1. In contrast to HTTP/2, HTTP/1.1 cannot multiplex requests. Only one HTTP request can be active at a time per TCP connection. The client makes a request, e.g. GET /foo, and then waits until the server responds. While that request-response cycle is happening, no other requests can be issued on that connection. Usually, we want lots of requests happening in parallel. Therefore, to have concurrent HTTP/1.1 requests, we need to make multiple HTTP/1.1 connections, and issue our requests across all of them. Additionally, long-lived HTTP/1.1 connections typically expire after some time, and are torn down by the client (or server). These two factors combined mean that HTTP/1.1 requests typically cycle across multiple TCP connections, and so connection-level balancing works. So how do we load balance gRPC? In network terms, this means we need to make decisions at L5/L7 rather than L3/L4, i.e. we need to understand the protocol sent over the TCP connections. How do we accomplish this? There are a couple options. First, our application code could manually maintain its own load balancing pool of destinations, and we could configure our gRPC client to use this load balancing pool. 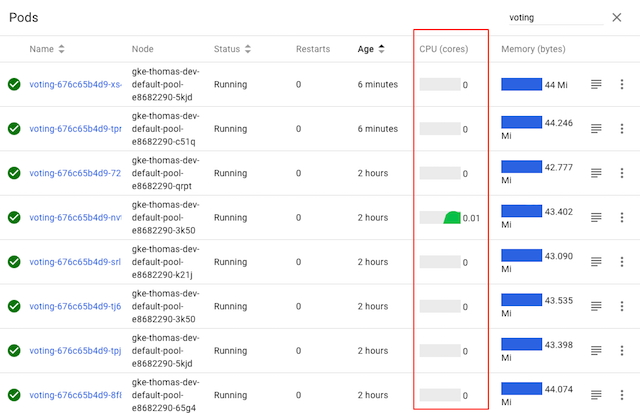 This approach gives us the most control, but it can be very complex in environments like Kubernetes where the pool changes over time as Kubernetes reschedules pods. Our application would have to watch the Kubernetes API and keep itself up to date with the pods. Alternatively, in Kubernetes, we could deploy our app as headless services. In this case, Kubernetes will create multiple A records in the DNS entry for the service. If our gRPC client is sufficiently advanced, it can automatically maintain the load balancing pool from those DNS entries. But this approach restricts us to certain gRPC clients, and it’s rarely possible to only use headless services. Finally, we can take a third approach: use a lightweight proxy. Using Linkerd has a couple advantages. First, it works with services written in any language, with any gRPC client, and any deployment model (headless or not). Because Linkerd’s proxies are completely transparent, they auto-detect HTTP/2 and HTTP/1.x and do L7 load balancing, and they pass through all other traffic as pure TCP. This means that everything will just work. Second, Linkerd’s load balancing is very sophisticated. Not only does Linkerd maintain a watch on the Kubernetes API and automatically update the load balancing pool as pods get rescheduled, Linkerd uses an exponentially-weighted moving average of response latencies to automatically send requests to the fastest pods. If one pod is slowing down, even momentarily, Linkerd will shift traffic away from it. 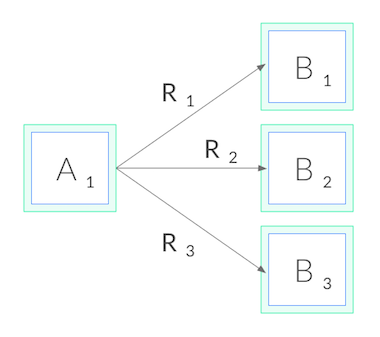 This can reduce end-to-end tail latencies. Finally, Linkerd’s Rust-based proxies are incredibly fast and small. They introduce <1ms of p99 latency and require <10mb of RSS per pod, meaning that the impact on system performance will be negligible. Linkerd is very easy to try. Just follow the steps in the Linkerd Getting Started Instructions—install the CLI on your laptop, install the control plane on your cluster, and “mesh” your service (inject the proxies into each pod). You’ll have Linkerd running on your service in no time, and should see proper gRPC balancing immediately. As we can see, the CPU graphs for all pods are active, indicating that all pods are now taking traffic—without having to change a line of code. Voila, gRPC load balancing as if by magic! If you’re interested in a dead simple way to add gRPC load balancing to your Kubernetes services, regardless of what language it’s written in, what gRPC client you’re using, or how it’s deployed, you can use Linkerd to add gRPC load balancing in a few commands. There’s a lot more to Linkerd, including security, reliability, and debugging and diagnostics features, but those are topics for future blog posts. Want to learn more? We’d love to have you join our rapidly-growing community! Linkerd is a CNCF project, hosted on GitHub, and has a thriving community on Slack, Twitter, and the mailing lists. Come and join the fun!